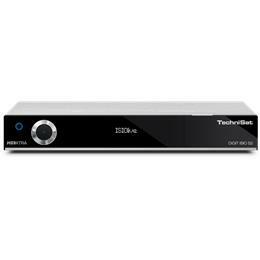 A digital HDTV satellite receiver which enables you not only to receive digital programmes via satellite but also to have access to the internet. Discover Internet on your TV and enjoy the access to TechniSat´s new service portal ISIO Live! Free browsing is possible as well. DIGIT ISIO S2 is DVR ready which means you can record TV and radio broadcasts to an external storage device (eg to an USB hard disc drive). Thanks to the integrated TWIN tuner it is possible to record one programme while watching another one at the same time by connecting an external storage device. When using your home network, DIGIT ISIO S2 supports Universal Plug and Play (server and client), and you can easily handle a variety of multimedia data such as digital pictures, music and videos.